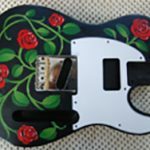 Dave Stevens Custom Guitars offers a full design and build service for your high quality handmade guitar and undertakes repairs and modifications. 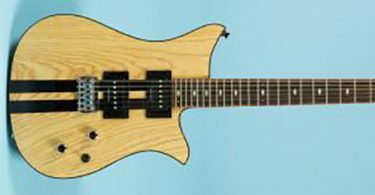 Dave can offer a complete luthier service – to give you the guitar that you’ve always dreamed of and can take your idea or rough sketches for a unique body shape and produce life-sized drawings and templates, and bring your ideas to life. 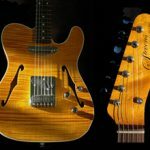 Dave only uses the best materials and gets his tonewood from long-standing and respected luthier suppliers, selected for it’s weight, resonance and beauty of grain. 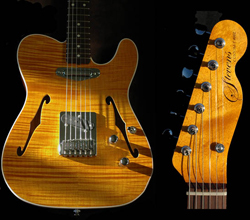 Swamp Ash and Alder are particularly suited to the Tele- and Strat-style guitars, but he also uses other timbers such as Mahogany, Korina, and Maple. 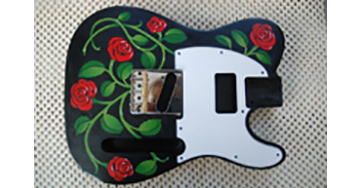 Nitrocellulose lacquer is the preferred finish which is softer than a polyurethane finish, making it easily reparable. You can touch-up a scratch or ding on a nitro finish, but you can’t easily do the same on a poly finish. .
With Dave you have all kinds of options for the electrics but don’t assume he’ll save money on cheap pickups. 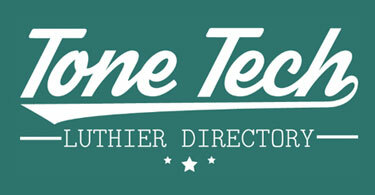 Quality counts throughout!